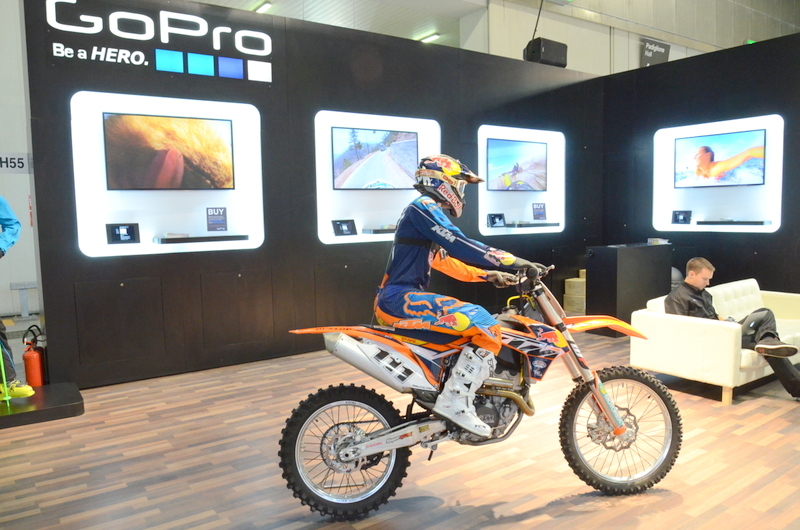 This year marked my second time at the EICMA motorcycle exhibition, the biggest two wheel trade show in the world. And while the initial oomph of the show has worn off just a little from last year, only because I knew a little what to expect, this year did not disappoint. GOVECS is the reason I was there to begin with so I will start with a quick recap of all the goings on at our booth. 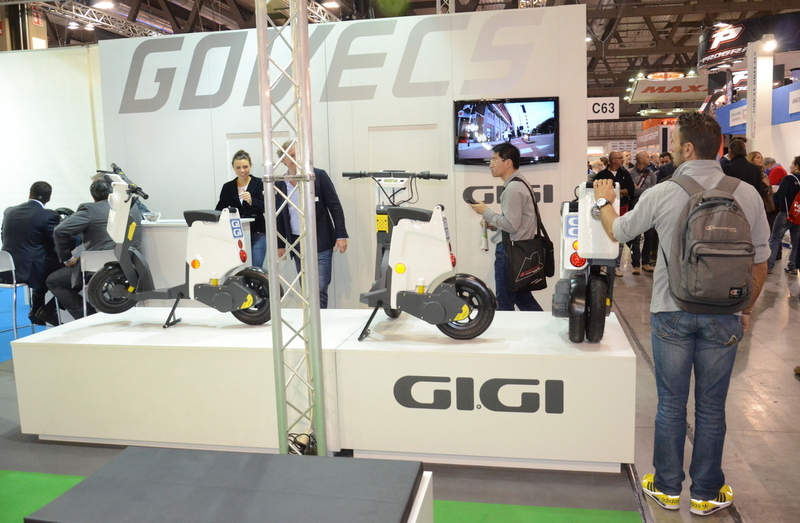 The name of the game is GiGi, the new era of personal electric mobility. 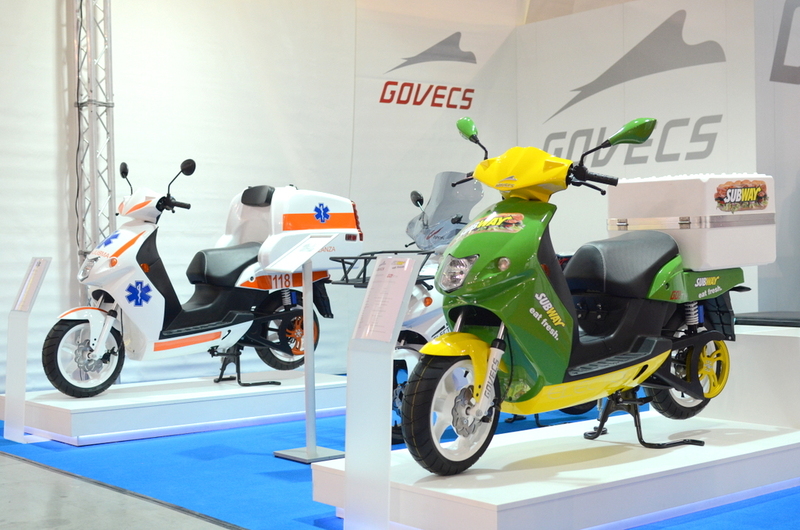 Small, foldable, electric, and above all…GOVECS manufactured! It’s the project I haven’t been able to talk about till it made its public debut three scooters strong on a podium at our booth. 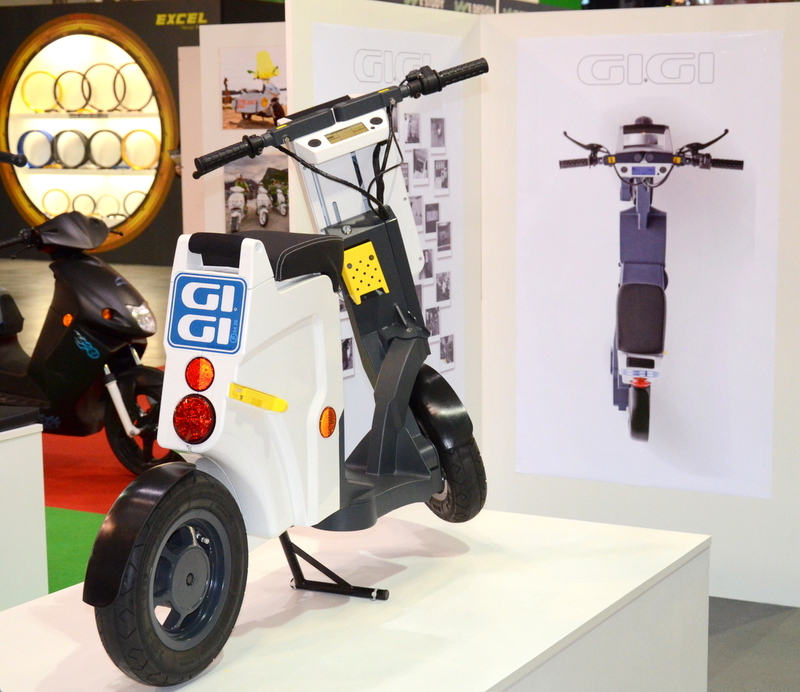 Each scooter displayed a different stage of its foldability, a marketing video displayed its rideability, and we all took pride in our team for making it happen. We also had our range of GO! S electric scooters and a couple of special GO! T transport vehicles that showed our customization ability and openness to the market. I took special pride in the GO! Subway and GO! Ambulanza scooters… cause I sort of helped make ’em happen. 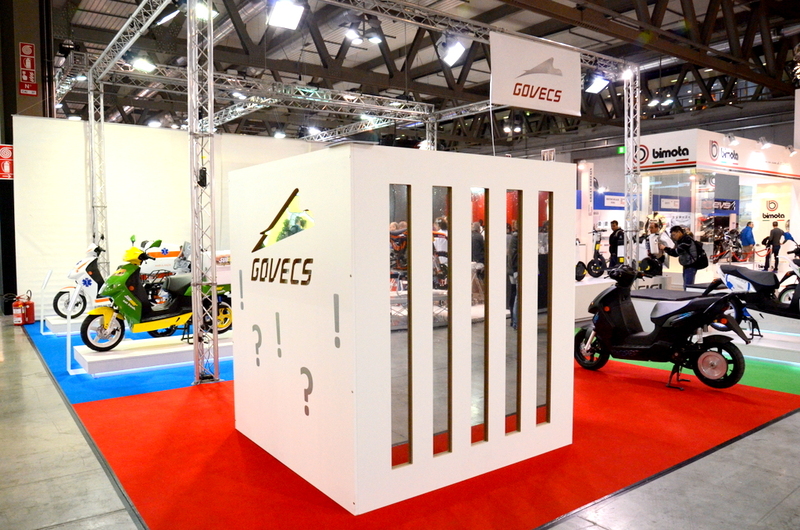 Those who looked inside the GOVECS box would notice a prototype scooter cleverly hidden in plain sight. Some saw it, most walked by. Perhaps it should have been more recognizable that there is something inside, but the core audience, meaning those who are indeed interested in GOVECS to begin with, saw it anyway. Among electric scooters another company with a factory in Wrocław presented their new model as well. Vectrix displayed a VT-1 scooter with some cool innovative solutions, I like their electronic display for one. I also liked the QWIC electric scooter and their retractable charge cable. Other than that there was plenty of Asian made electric stuff almost stockpiled within the Green Planet area. 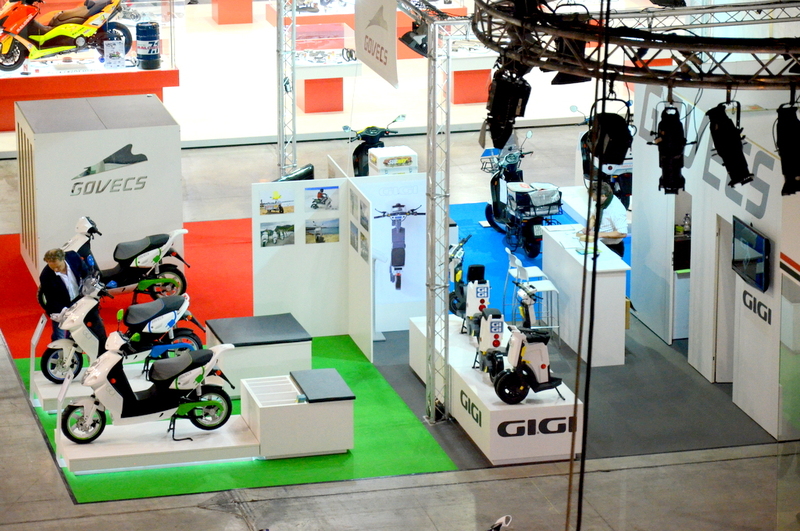 Also in electric and just behind our booth was ZERO motorcycles, with a new logo and a new model to show. I’m a big fan of ZERO but more of the Neal Saiki ZERO than the ZERO of today. I understand the process of making a company profitable means big changes, but I also like the startup company feel that a former NASA engineer had shown in initial product videos. 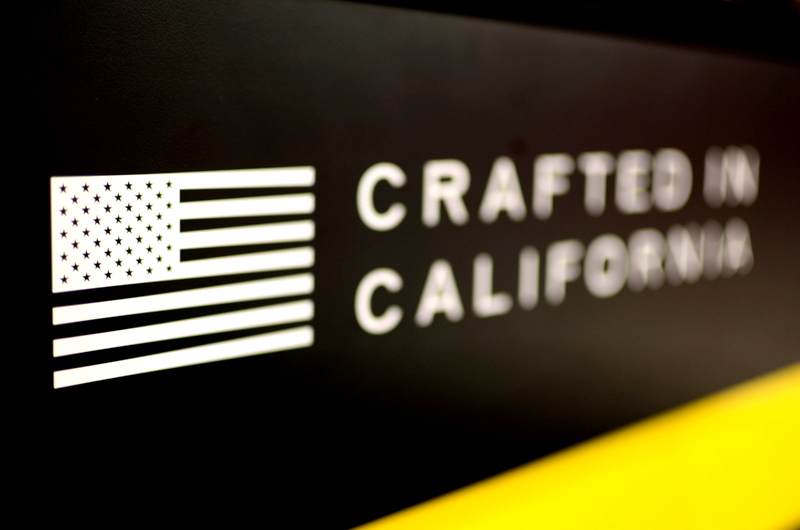 In either case I’m not a fan at all of the new logo, but love the “Crafted in California” and the American flag on every bike. And the rest? Well, the rest is everybody else. Everyone that’s anyone in the motorcycle business was there and naturally the biggest booths belonged to the biggest names in the business. 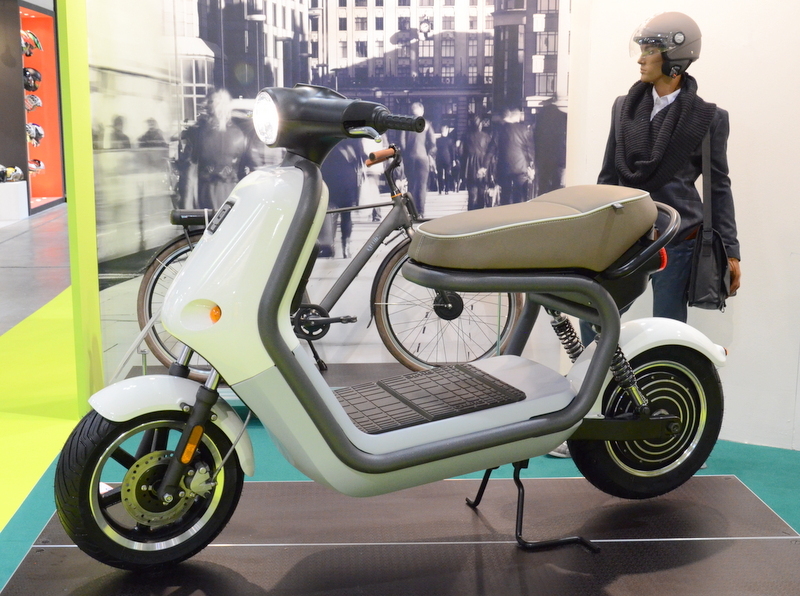 Kawasaki showed off a J300 maxi scooter which is a first, but that’s just a rebranded version of the Kymco Downtown scooter. Honda showed a couple of new models; a CBR 300 in my opinion shows that big manufacturers are entering the “youth” market making cheaper, low displacement, motorcycles. At the same time the NC700X adventure bike I was thinking of last year got an upgrade in engine size after just one year on the market and is now called NC750X and sold with ABS standard. Chris Pfeiffer delivered a stunning show as he has every year at EICMA. 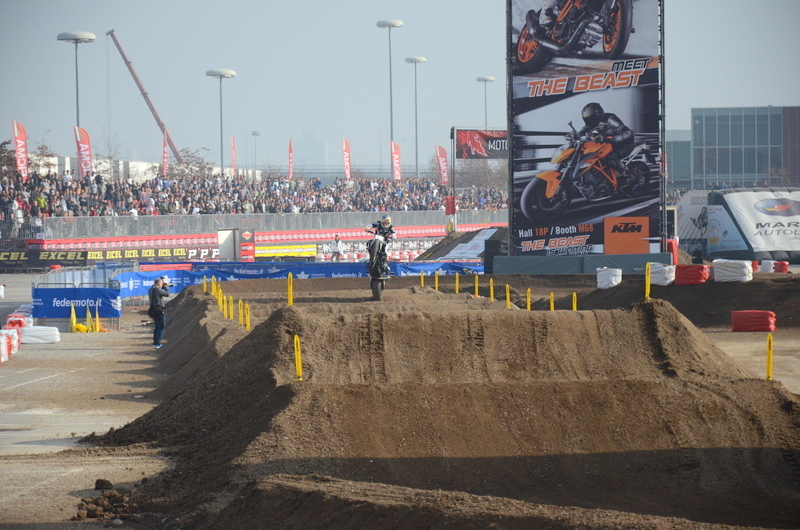 A special addition to his act in Milan is a one wheel ride through the motocross dirt section. He pointed at the whoops and the crowd went wild. He then picked up his bike onto one wheel and rode four whoops on loose dirt before finally setting the bike back down. Awesome! I spent three days walking the show and still didn’t see everything on display. 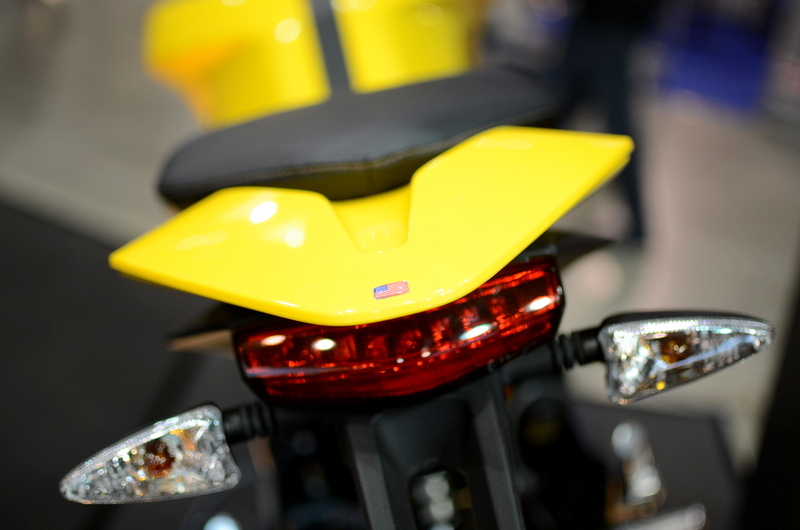 Since I have already shown you the Women of EICMA in a previous post HERE I will upload strictly bike photos below.